Jacqueline (McGinnis) Logan, age 91, of Dayton, Ohio and formerly of Belle Center, Ohio passed away Tuesday morning, March 26, 2019 at Patriot Ridge Community in Fairborn, Ohio. Jackie was born in Hardin County Ohio December 21, 1927, to the late Pearl and Hazel (Kenyon) McGinnis. She was also preceded in death by two brothers, U.J. McGinnis and Sterling McGinnis; a daughter, Carol Ann McCormick in 2018 and a son-in-law, Fred Sedam. 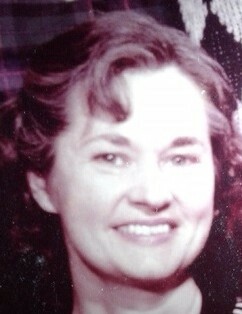 Jackie is survived by her children, Garry Norman (Jane Sayre) Logan of Centerville, Ohio, Diana Louise Sedam of Tipp City, Ohio and Anita Marie Logan of Florida; sons-in-law Mark McCormick of Fairborn and Kirk Jones of Florida; six grandchildren, Dr. Leona Houston, Trishauna Trissel, Libby (Scott) Mastbaum, April (Michael) Jeffery, Alex Sedam, and Lonna Sedam; several great-grandchildren including Ryder Mastbaum and nieces and nephews, Sandy Feenstra, Randy McGinnis, Colin McGinnis, Jo Elizabeth McGinnis, Kelly McGinnis, and Sterling McGinnis Jr.
Jackie worked in the layaway department at Elder-Beerman department store where she retired from in 1993. She was a member of the Eastview Church of God in Dayton. A graveside service celebrating Jackie’s life will be held at a later date at the McDonald Fairview Cemetery. The arrangements are being handled by the staff of the Eichholtz Daring & Sanford Funeral Home in Belle Center.